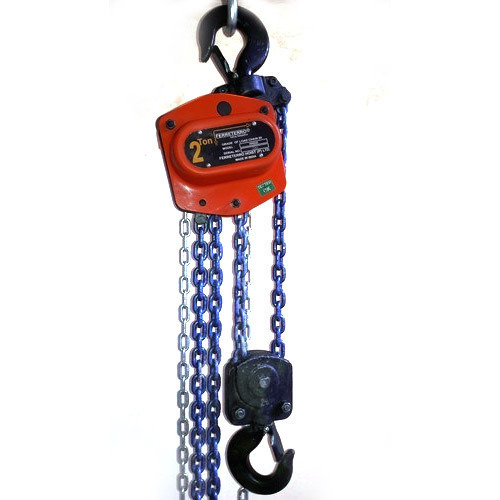 Established in the year 1985, we, “Madras Chain Corporation”, are an eminent organization, engaged in Manufacturer and Wholesaler a commendable range of Lifting and Chain Equipment. The range offered by us comprises Automotive Couplings, Transmissions Chains and Automotive Gears. All our offered products are manufactured using optimum-grade stainless steel and basic materials that are sourced from the authentic vendors of the industry. Apart from this, we provide customization facility for these products to suit the demands of esteemed customers. We live in a market where a click of mouse gets us quotation from tens of suppliers from around the globe, nothing can be better than this for customers & competition. But problem arises when a genuine distributor is pitched against companies who sell degraded quality to be the lowest bidder. We urge, request and trust our buyers & purchase managers to help us in maintaining our quality by comparing us & Our price quotes with equivalent competitors in terms of experience, credibility & technicality of the product. Facilitated with sound infrastructure unit, which is sprawled across an extensive area, we are able to manufacture the entire range with perfection. Laced with modern machinery and cutting-edge technology, we have been able to meet the bulk demands of customers in prominent manner. In addition to this, we have established a vast distribution network, which enables us to dispatch our range in stipulated time-period to the customers' premises.